Gene Pitts Towing & Recovery offers affordable I-20, Boligee & Moundville Alabama towing and roadside assistance throughout West Alabama and along I 20 & US 80 24 hours daily. Their light duty flatbed tow trucks are operated by skilled and certified operators who are prepared to solve your towing or recovery challenge anytime, day or night. They are committed to being the best local towing company and offer their towing services throughout I-20 and specialize in providing fast I-20 Towing. Their Boligee & Moundville Alabama auto towing services include: Car Towing; Light Duty Towing; Flatbed Towing; Show Car Hauling; 24 hour Towing; Long Distance Towing; Emergency and Police Towing. Gene Pitts Towing provides complete Roadside Assistance for all automotive makes and models in greater I-20 & West Alabama, I-20 & US 80. Their team of experienced and trained roadside assistance professionals are prepared to provide you with the best 24hr I-20 roadside assistance available. 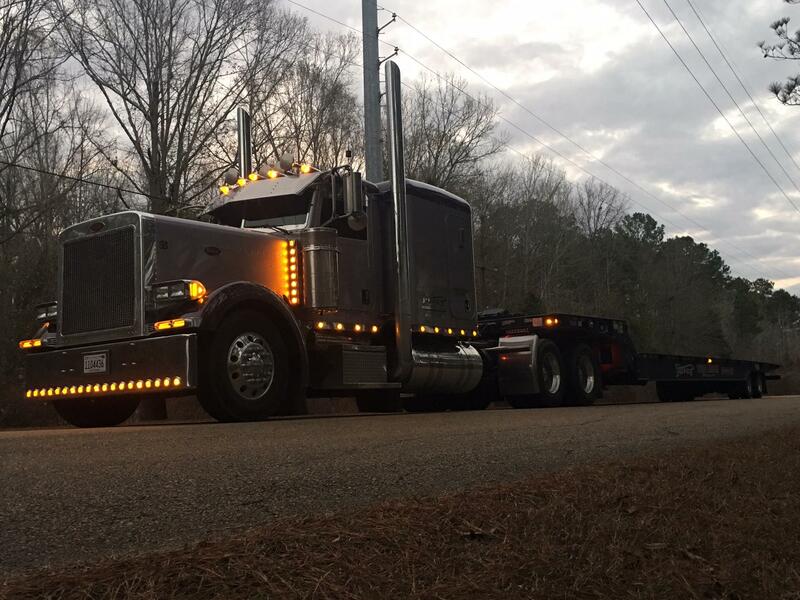 Gene Pitts Wrecker & Heavy Truck Repair in Boligee & Moundville AL provides 24hr heavy duty towing for all truck weights and classes in I-20 and throughout West Alabama from Tuscaloosa to the MS border. Their fast response heavy truck towing operators are experienced in heavy duty wrecker services and recovery techniques and will tow your truck to your desired destination throughout the service area. They have experience is safe and efficient routing through the city saving you time and money. 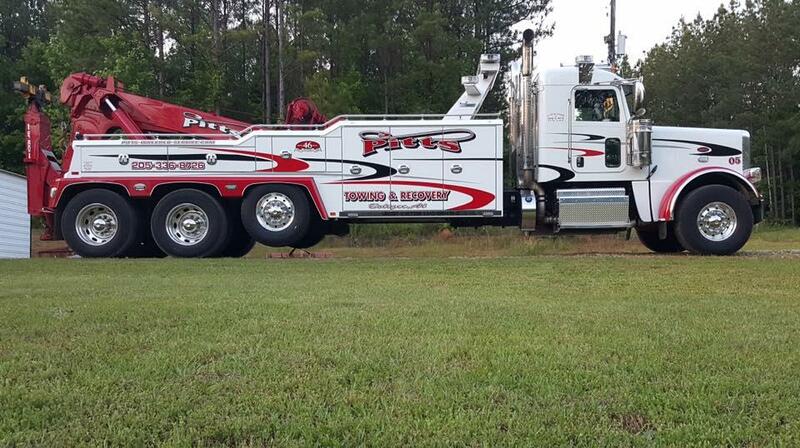 Call their 24hr Heavy Duty Towing Dispatch Line at 205-336-8726. Gene Pitts Towing & Heavy Truck Repair in Boligee & Moundville Alabama is licensed to provide heavy truck towing throughout Alabama and Mississippi and maintain a fleet of heavy duty tow trucks and heavy service vehicles. They can provide heavy towing services for all types of trucks including: semi-trucks, box trucks, delivery trucks, garbage trucks and construction trucks. Their team of professional recovery experts stand ready to respond to your call. Call their 24hr dispatch center now at 205-336-8726. Gene Pitts Towing & Recovery provides complete mobile heavy truck repair and road service along the I-20 corridor in West Alabama. Their experienced roadside technicians will diagnose your situation and make every attempt to correct it roadside to save you time and money. If your repair cannot be completed roadside they can tow your truck to a local heavy truck repair facility for expedited service. Gene Pitts Towing & Recovery offers complete mobile truck diagnostics service to get your issue identified and get it repaired as quickly as possible. 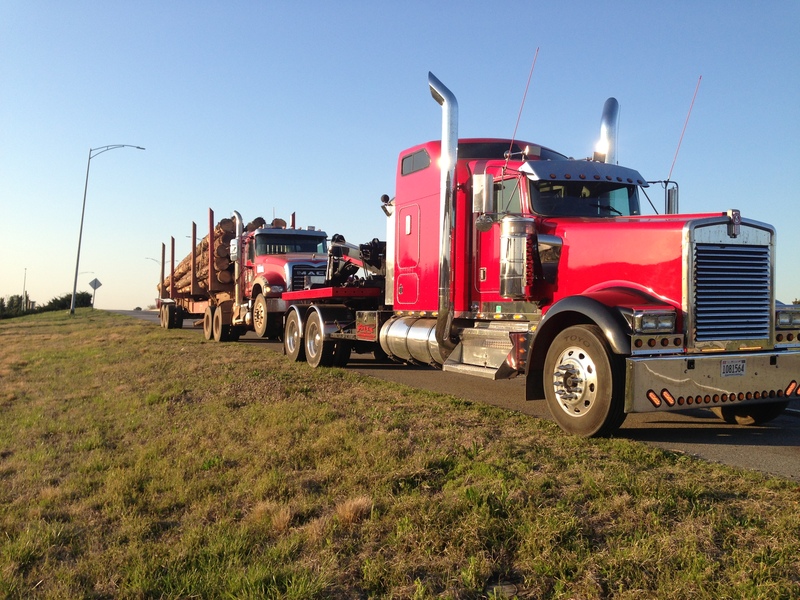 Pitts’s team of trained heavy truck technicians can make many common repair roadside saving you time and money. They invest in computer diagnostics for almost all truck, engine and transmission manufacturers including: Volvo, International, Cummins and Eaton. Their team shows up on scene with a fully stocked heavy road service truck to get you back on your way as quickly as possible. Their versatile crane fleet is operated by Alabama Certified Equipment Operators who are skilled at beam setting, equipment loading, trailer bunking and trailer un-bunking, truck cab stacking and other heavy duty crane services. For affordable West Alabama Crane Rental call their dispatch center now at 205-336-8726 to order your mobile crane service. Gene Pitts Towing & Heavy Truck Repair provides complete heavy truck tire service and mobile truck tires along Interstate 20 and throughout West Alabama. They offer 24 hour mobile tire service and stock a wide selection of new steer tires, new traction tires, recaps and used tires. Their service trucks provide prompt affordable tire services in I-20 County, throughout West Alabama. Pitts carries a wide selection of commercial truck tires including Double Coin, Michelin, Goodyear, Yokohama and Kumho tires. With access to all commercial truck tires Pitts is your one source for heavy truck tires and commercial truck tires in I-20 Alabama. Gene Pitts Towing & Recovery provides cargo and equipment hauling services in the West Alabama area and East Mississippi. 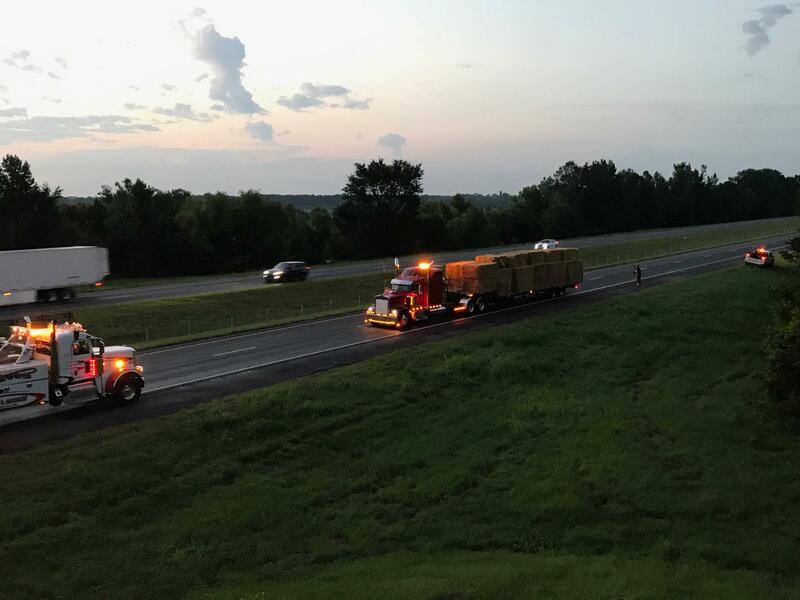 They can provide immediate and emergency cargo and equipment hauling at a moment’s notice nationwide via their fleet of flatbed, lowboy and Landoll Trailer trucks. 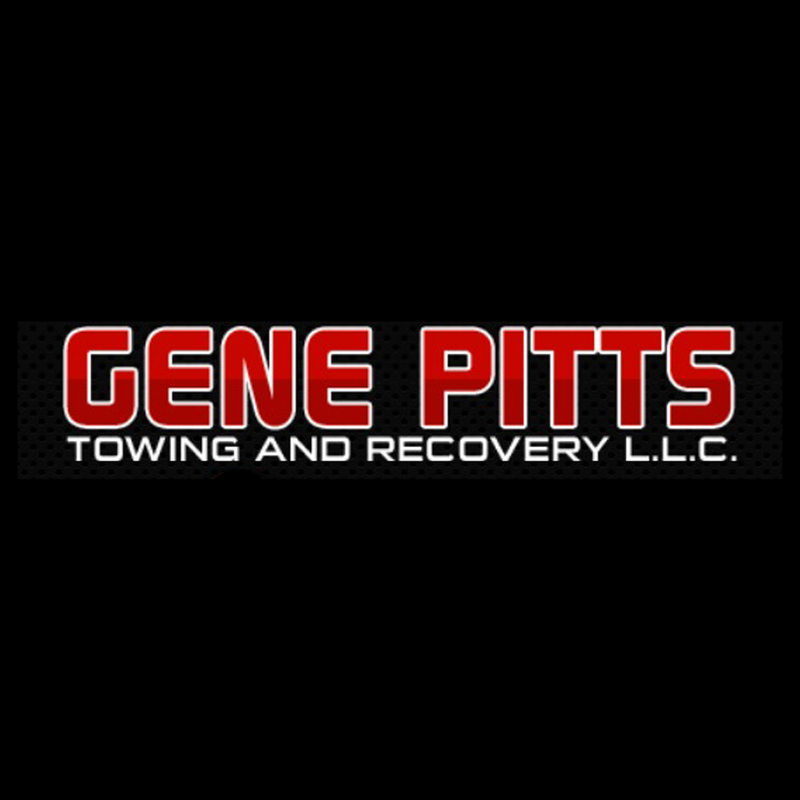 Contact their 24hr dispatch center now at 205-336-8726 to get the Gene Pitts Towing & Recovery team working for you.